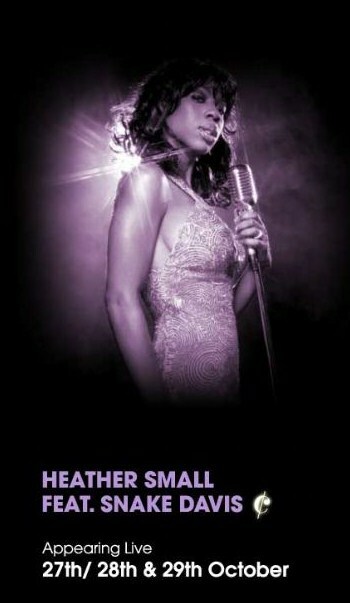 Heather Small will be performing at the legendary jazz club Ronnie Scott's in London over the next three nights. With fellow M People saxophone player Snake Davis, Heather will be performing a number of classic jazz songs. Heather and Snake will be on stage just before 21:00. All three nights have been sold out! Heather's American Cha Cha Cha Boy! Heather & Brian Are Through!